When it comes to internet marketing for your business, nothing beats an optimized search marketing campaign. Internet Marketing offers you a variety of ways to be found in search engines. Are you looking to implement improved internet marketing strategies for your organization? We offer a variety of digital marketing services focused on search engine optimization (SEO) and search engine marketing (SEM). 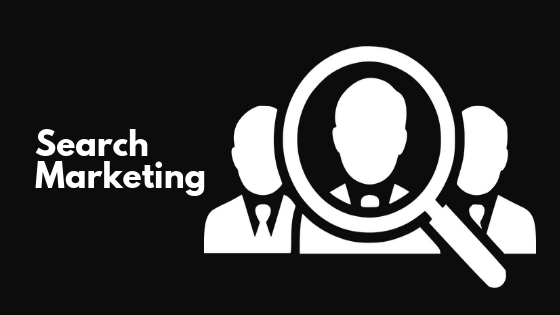 Together, these options provide you with a robust Search Marketing offering! When it comes to Search Marketing, you want to be aware of your options and how you might leverage different digital tools to help you increase your visibility and convert sales. Search Marketing is all about positioning your business website in search engines. Once your webpages are ranking high in search results (eg in the top 10 results), you’re going to be getting a lot more business from new customers. 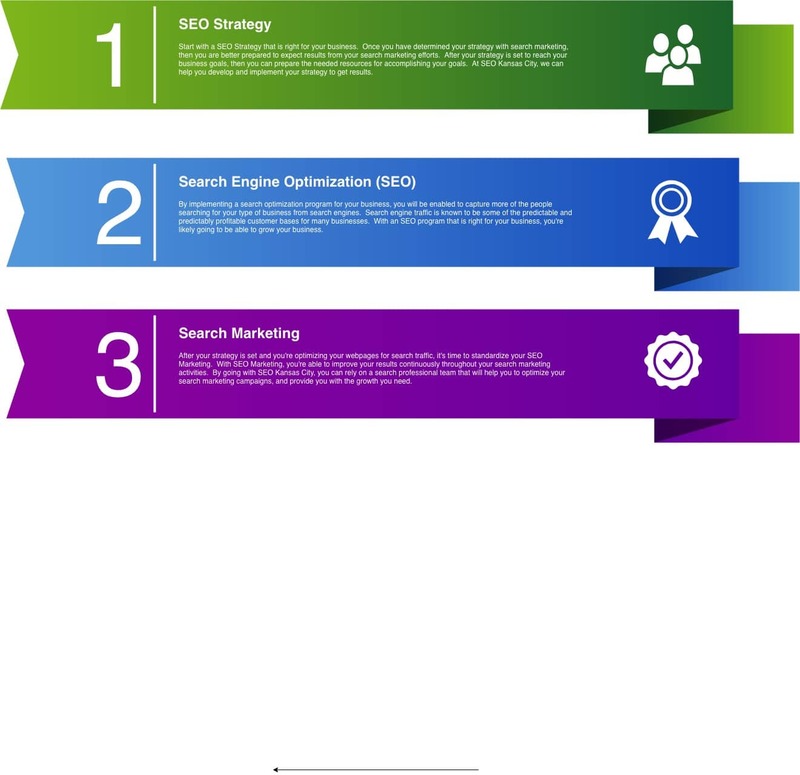 As one of the top experts for Search Marketing in Kansas City, we offer services to help you achieve results with your search marketing campaigns. If you want an offer for supporting your next search marketing campaign, let us know by contacting us today. Though these are two very different approaches, many organizations find success by finding the right kind of blend between, both, organic and paid search. The term organic search refers to the placement of your webpages in the rankings of search engine results pages (SERP). Essentially, it’s the ability to be found when people search for your type of business online. You can think about organic search in a couple different ways. When people search for your business/brand name in search engines, your business website should show up at the top of search results. Search Engines, like Google, are very good at associating your business/brand site for those types of search terms. For another way, though, say someone doesn’t know your business/brand name. The User might, instead, go to search engines to find offerings related to a product-search (eg. “dog collar”) or service-search (eg. “arborist near me”). In both of these cases, ideally, you want your business website to show-up for these types of search results for your business offerings. Furthermore, within the product-searches and service-searches, there are other approaches to consider such as the aim for showing up in organic searches for “buyer-intent keywords”. Buyer-intent keywords are valuable (and sometimes competitive to rank for) because of the underlying intent of the User– for buyer-intent keywords, the User is attempting to make a purchase. Do you see why the search terms above might be referred to as buyer-intent searches? The User searching for these types of search terms are likely looking to make a purchase. Buyer-intent searches correlate with that of the popular Buyer’s Journey, with these types of users commonly being referenced as existing in the “Decision Stage”. Some of the most valuable search terms to rank for organically are those for buyer-intent keywords. How to Improve Your Position in Organic Search? Improving your webpages your webpages to become more readable to search engines is a broad, technical topic. There’s a lot that goes into optimizing a site for search engines. The best route for optimizing a website for organic search is to implement a SEO Program that’s right for your type of business. For User Intent, this topic is more philosophical and requires testing. Essentially, you want your webpage/s to be designed as the best result possible for the User of the search engine. Why, you might ask? Because that’s what search engines care about, and that’s their aim. By aligning the content and resources found on your webpages to match the intent of the User (on search engines), you’re going to become a trusted source for those types of searches and continually rank high in search results because the search engines trust your webpage for satisfying their User’s intention (for that particular search). With paid search, you’re essentially paying to show up high in search results. Oftentimes with paid search, you set aside a monthly budget, choose the search terms (keywords) you want to target, and then allow the search engine marketing (SEM) software determine where your advertisement is positioned in search results. For paid search, you are often paying based on cost-per-click. Paid Search Marketing can be effective for growing your business online. It’s all about ROI, right? If you can, in aggregate, earn more revenue (from new sales) than you spend for advertising, then you earn a return on your investment. Don’t get it twisted, there are benefits to paid search marketing when you know what you’re doing, and you have the data to back-up your claims. Every industry is different, though, with a qualified Paid Search Marketing Expert, you can earn benefits with search engine advertising. To benefit from the SEO Special Offers, please consider contacting us and letting us know what you’re looking to achieve. You might also check out our latest special offers on Facebook. Though, the best way to know for sure is to give us a call today. What should a SEO company offer me? In short, an opportunity to change your life. A SEO company should offer you a structured approach to growing your business by aligning a digital marketing strategy with your business goals. Based on your options (eg budget), you can then rely on a SEO Company to help you achieve your milestones along the way towards reaching your goal. With these in place, you can setup a productive relationship with a SEO Company. What should every SEO firm offer? Every SEO Firm should offer a guarantee for results. Oftentimes, optimizers don’t want to be on-the-hook for results due to the regular changes in search engine algorithms. We believe every SEO firm should guarantee results, do you? How to I proceed with an offer from you guys? If you like one of our offers, contact us. From there we can talk details, meet for a coffee or whatever to get it all setup right.